Benefits of lemon turns a lot. Not only for health but also for beauty. Among maintain the beauty of the hair, skin, and can be used to treat acne. Here are the benefits you can try lemon. Lemon fruit juice can be used to make hair healthy, smooth, and shiny. The trick, mix the lemon juice with water to wash your hair. Or you can try another alternative, which is mixed with three tablespoons lemon juice ¾ cup olive oil and half a cup of honey. Apply on the hair with the help of a comb, and let stand for half an hour with a shower cap closed. Afterwards, wash your hair just as usual. Hair will naturally sparkling. Ankles and knees dry and rough can be overcome by rubbing lemon pieces. Let it sink into the skin. Feet do not need to be rinsed again. It is best when allowed to stand overnight. Lemons can be used also as a mask, especially for oily skin. Mix the lemon juice with honey and use it as a mask. After 10 minutes, wash with warm water. Facial skin will be brighter. Do it regularly to make your skin look brighter. 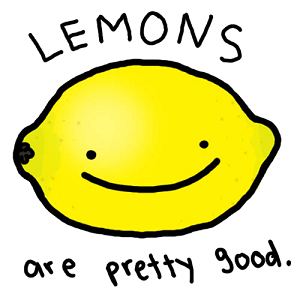 A few drops of lemon can be used as a natural mouthwash to kill bacteria that cause bad breath. Lemon can also whiten your teeth at the same time. How, rinsing the mouth with lemon juice after brushing your teeth. Black spots or acne scars can be less, even disappear, if diligently used in this way. Previously, save a lemon in the fridge to cool, then cut a lemon in half. Grease your face with lemon stained with direction plays out. If your skin is oily you can put lemon on the entire face to face bright and oil is reduced. Keep unused leftover orange in the fridge. When first applied, the skin will itch sedikti. It is natural. It is natural. After a long time the itching goes away. However, if your skin feels sore and itchy prolonged, immediately stop use and wash your face thoroughly. That sign does not match your skin. Lemon can be used as an alternative to nail care. Soak your nails in lemon juice has been added a little vinegar and warm water about 10 minutes. Then rub gently polish with a small brush. Squeeze lemon into a bowl. Add 1 cup of milk and 1 teaspoon of glycerin to it. Stir well and let stand for half an hour. Apply this mixture on the face, hands and feet before going to bed at night. This will help you look younger and prettier. Also can help you treat acne. Squeeze the lemon into a bowl of ice water. Drizzle over the face, massage for 5 minutes, and wash the face with water. Mix half a teaspoon of lemon juice with one teaspoon of cucumber water and a few drops of rose water. Apply to face and neck. Let stand for 15 minutes, then wash with water. Mix one egg yolk with a few drops of lemon juice and olive oil. Apply on face and leave on till the skin feels dry. Clean with water and sprinkling with water ice. Take each of the four tablespoons of lemon juice and ice water. Put it on a cotton and put it in your eye (covered) for 10 minutes.